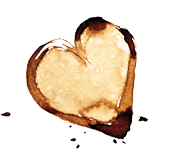 I love recipes where very little effort produces extremely satisfying results. And this is one of those recipes. 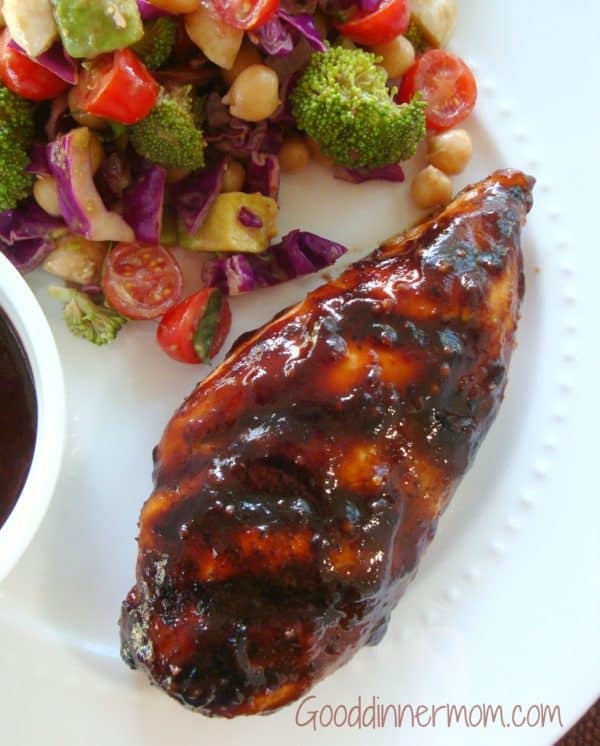 Balsamic Barbecue Chicken is made with a from-scratch sauce reduction and then cooked on the grill or under the broiler. You could bake it as well, I’m sure. 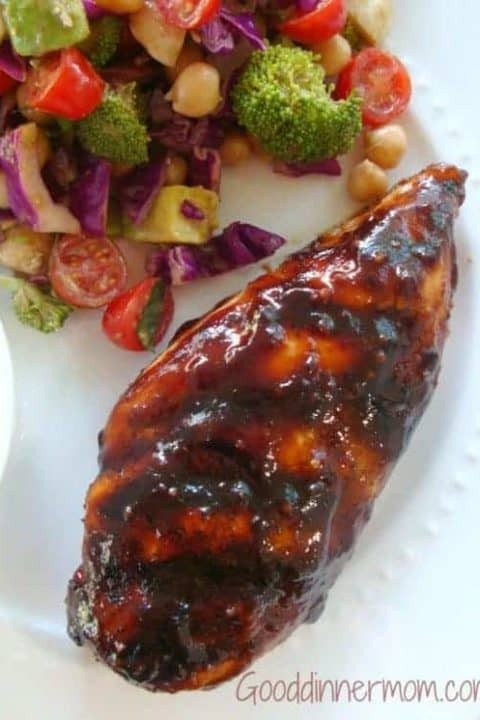 I have been making mine on the grill and the sauce just seals in the juices for a moist bite every time. This recipe starts with ingredients you probably already have on hand and the sauce’s flavor becomes quite bold as it simmers with a mellow sweet-heat. I served mine with a fresh broccoli salad but you could serve it over bitter greens or rice as well since there will be plenty of extra sauce for dipping or pouring. It would also be a great party main dish since clean up is a breeze (very few kitchen tools or pans needed. Yay!). The sauce for this chicken is bold and complex. Easy prep and clean up also make this a favorite weeknight or company worth meal. Add vinegar, ketchup, brown sugar, Worcestershire, mustard, salt, pepper and garlic powder to a medium sauce pan. Stir to incorporate over medium-high heat and once sauce starts to bubble, reduce heat and simmer 20 minutes. As sauce is simmering, heat grill to medium or start grill coals. If using coals, place coals off center to grill with indirect heat. If baking or broiling, prepare broiler pan with cooking spray. After sauce has reduced for 20 minutes, sprinkle chicken breasts with salt, pepper and garlic powder on both sides. Pour approximately 1/3 cup sauce into a small bowl and set aside to serve for dipping sauce. For broiling: Place oven rack to lower third in oven. Preheat on High Broil for a couple of minutes. 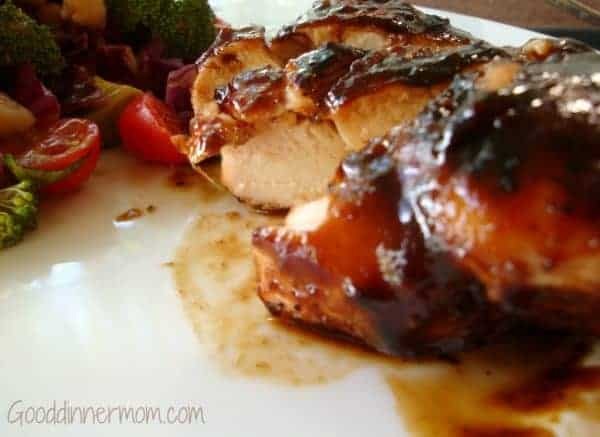 Liberally brush sauce over top of chicken and broil for 8-10 minutes, watching that sauce doesn't start to burn. Add more sauce if it seems to become dry. Turn chicken and brush again. Continue to watch chicken, brushing more sauce for more flavor and broil until chicken reaches 160 degrees and juices run clear. For baking: Preheat oven to 400 degrees, liberally brush sauce over top of chicken and bake for 10 minutes. Turn chicken and brush liberally again with sauce and bake another 10-15 minutes until internal temperature is 160 degrees. Recipe adapted from Center Cut Kitchen. This was amazing! Love the sauce, what great flavor and so easy to make. The directions don’t say when to add the balsamic vinegar. Does it get added with the rest of the ingredients in Direction Step #1? Thanks! No problem. Sounds delicious!! Thank you. This sounds delicious! I do have everything on hand to make this! It’s going on the menu!